The Gurley, NE area has had 7 reports of on-the-ground hail by trained spotters, and has been under severe weather warnings 18 times during the past 12 months. 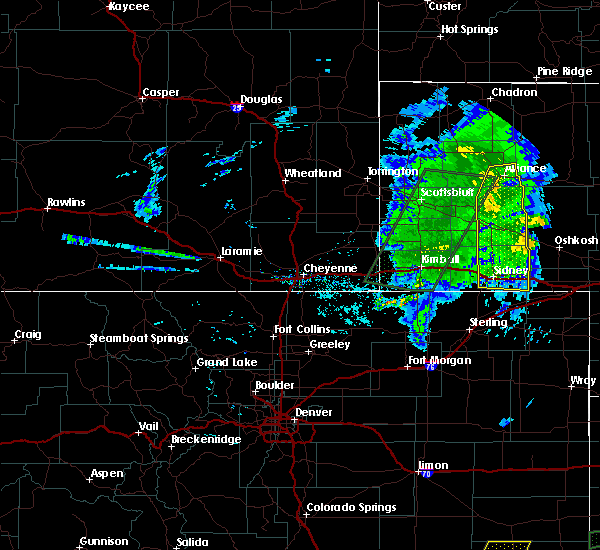 Doppler radar has detected hail at or near Gurley, NE on 33 occasions, including 2 occasions during the past year. 7/27/2018 10:06 AM MDT The severe thunderstorm warning for cheyenne, northeastern kimball, southern morrill and southeastern banner counties will expire at 1015 am mdt, the storm which prompted the warning has weakened below severe limits, and no longer poses an immediate threat to life or property. therefore, the warning will be allowed to expire. however heavy rain is still possible with this thunderstorm. to report severe weather, contact your nearest law enforcement agency. they will relay your report to the national weather service cheyenne. 7/27/2018 9:58 AM MDT At 957 am mdt, a severe thunderstorm was located 10 miles north of potter, or 21 miles northwest of sidney, moving southeast at 35 mph (radar indicated). Hazards include quarter size hail. Damage to vehicles is expected. locations impacted include, sidney, potter, dalton, dix, gurley, brownson, lorenzo and sidney airport. This includes interstate 80 in nebraska between mile markers 31 and 59. 6/30/2018 4:09 PM MDT The national weather service in cheyenne has issued a * severe thunderstorm warning for. 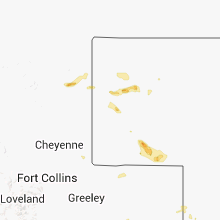 cheyenne county in the panhandle of nebraska. southeastern morrill county in the panhandle of nebraska. 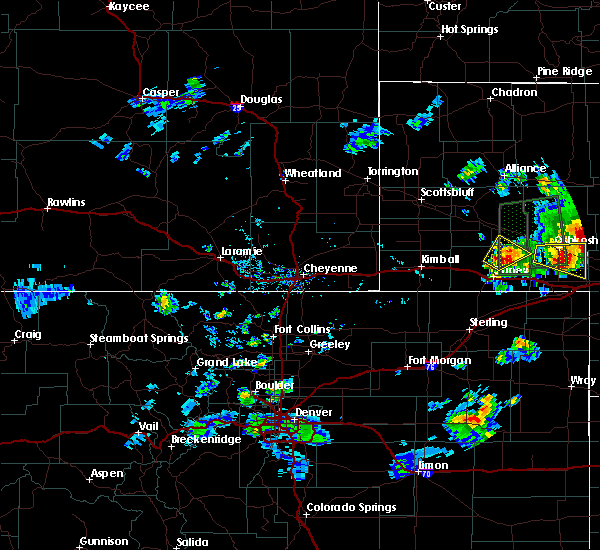 until 515 pm mdt. 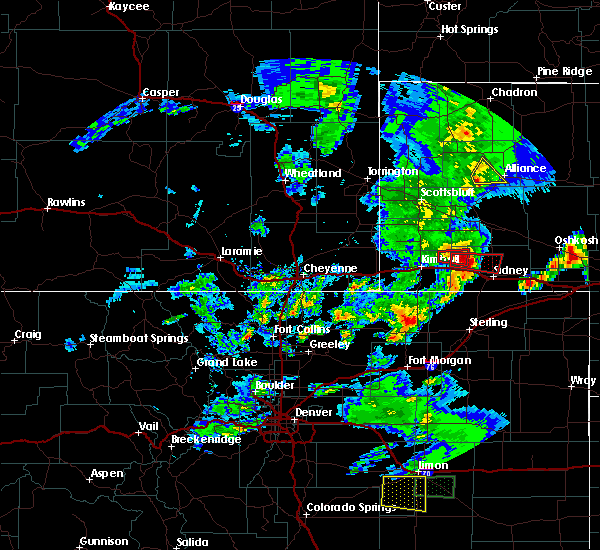 At 408 pm mdt, severe thunderstorms were located along a line. 6/7/2018 8:29 PM MDT At 828 pm mdt, severe thunderstorms were located along a line extending from 9 miles northeast of the intersection of highway 385 and 92 to near kimball, moving east at 35 mph (radar indicated). Hazards include 70 mph wind gusts and half dollar size hail. Hail damage to vehicles is expected. expect considerable tree damage. Wind damage is also likely to mobile homes, roofs, and outbuildings. 6/7/2018 8:12 PM MDT At 812 pm mdt, a severe thunderstorm was located near the intersection of highway 385 and 92, or 28 miles north of sidney, moving east at 25 mph (radar indicated). Hazards include 70 mph wind gusts and half dollar size hail. Hail damage to vehicles is expected. expect considerable tree damage. wind damage is also likely to mobile homes, roofs, and outbuildings. 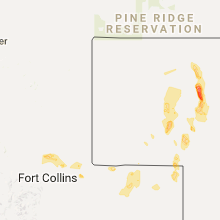 Locations impacted include, bridgeport, bayard, dalton, gurley, northport, the intersection of highway 385 and 92, chimney rock state park, court house and jail rocks, bridgeport state recreation area, redington, south bayard junction and broadwater. 6/7/2018 7:42 PM MDT At 742 pm mdt, a severe thunderstorm was located over redington, or 26 miles southeast of scottsbluff, moving east at 25 mph (radar indicated). Hazards include 70 mph wind gusts and half dollar size hail. Hail damage to vehicles is expected. expect considerable tree damage. Wind damage is also likely to mobile homes, roofs, and outbuildings. 6/6/2018 6:13 PM MDT At 612 pm mdt, a severe thunderstorm was located over colton, or near sidney, and is nearly stationary. additional severe thunderstorms were located along interstate 80 east of sidney to lodgepole, and were also nearly stationary (radar indicated). Hazards include golf ball size hail and 60 mph wind gusts. People and animals outdoors will be injured. expect hail damage to roofs, siding, windows, and vehicles. Expect wind damage to roofs, siding, and trees. 5/27/2018 6:58 PM MDT The severe thunderstorm warning for cheyenne. eastern kimball. 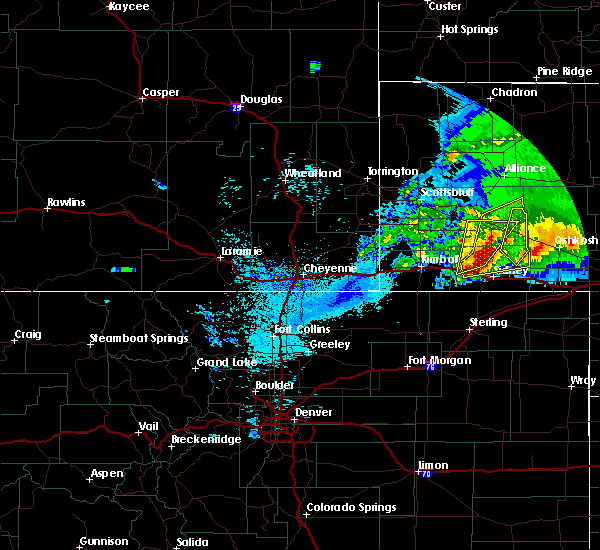 southeastern morrill and southeastern banner counties will expire at 700 pm mdt. the storms which prompted the warning have weakened below severe limits, and no longer pose an immediate threat to life or property. Therefore the warning will be allowed to expire. 5/27/2018 6:22 PM MDT At 621 pm mdt, severe thunderstorms were located along a line extending from near dix to 7 miles northwest of dalton to near gurley to lodgepole to julesburg, moving northeast at 35 mph (radar indicated). Hazards include 70 mph wind gusts and quarter size hail. Hail damage to vehicles is expected. expect considerable tree damage. Wind damage is also likely to mobile homes, roofs, and outbuildings. 5/27/2018 6:07 PM MDT At 606 pm mdt, severe thunderstorms were located along a line extending from 11 miles southeast of kimball airport to near potter to near brownson to near twin buttes to near paoli, moving northeast at 35 mph (radar indicated). Hazards include 60 mph wind gusts and quarter size hail. Hail damage to vehicles is expected. expect wind damage to roofs, siding, and trees. locations impacted include, sidney, potter, lodgepole, gurley, colton, sunol, brownson, lorenzo and sidney airport. This includes interstate 80 in nebraska between mile markers 33 and 77. 5/27/2018 5:51 PM MDT At 550 pm mdt, severe thunderstorms were located along a line extending from 8 miles northwest of westplains to 11 miles southwest of potter to near peetz to crook to near highland center, moving northeast at 35 mph (radar indicated). Hazards include 60 mph wind gusts and quarter size hail. Hail damage to vehicles is expected. Expect wind damage to roofs, siding, and trees. 5/17/2018 10:44 PM MDT At 1044 pm mdt, a severe thunderstorm was located over gurley, or 11 miles north of sidney, moving east at 10 mph (radar indicated). Hazards include ping pong ball size hail and 60 mph wind gusts. People and animals outdoors will be injured. expect hail damage to roofs, siding, windows, and vehicles. expect wind damage to roofs, siding, and trees. 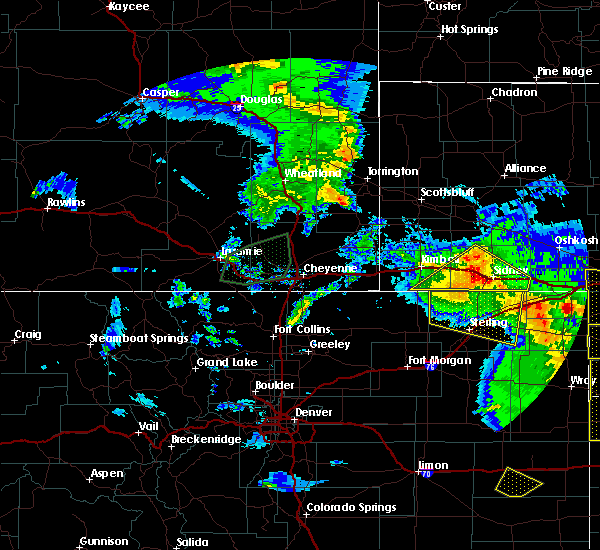 this severe storm will be near, dalton and gurley around 1100 pm mdt. other locations impacted by this severe thunderstorm include broadwater. This includes interstate 80 in nebraska between mile markers 43 and 51. 5/17/2018 10:28 PM MDT At 1027 pm mdt, a severe thunderstorm was located near gurley, or 13 miles northwest of sidney, moving northeast at 20 mph (radar indicated). Hazards include two inch hail and 60 mph wind gusts. People and animals outdoors will be injured. expect hail damage to roofs, siding, windows, and vehicles. expect wind damage to roofs, siding, and trees. 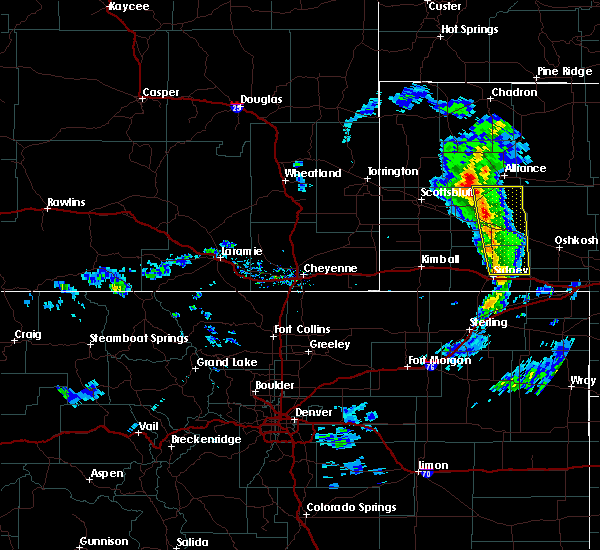 this severe thunderstorm will be near, gurley around 1045 pm mdt. 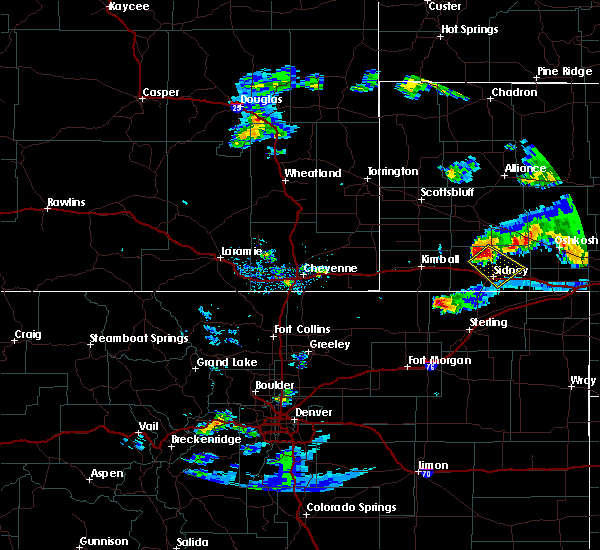 dalton around 1050 pm mdt. other locations impacted by this severe thunderstorm include broadwater. This includes interstate 80 in nebraska between mile markers 43 and 51. 5/17/2018 10:15 PM MDT At 1014 pm mdt, a severe thunderstorm was located 8 miles northeast of potter, or 14 miles northwest of sidney, moving east at 25 mph (radar indicated). Hazards include 60 mph wind gusts and quarter size hail. Hail damage to vehicles is expected. expect wind damage to roofs, siding, and trees. 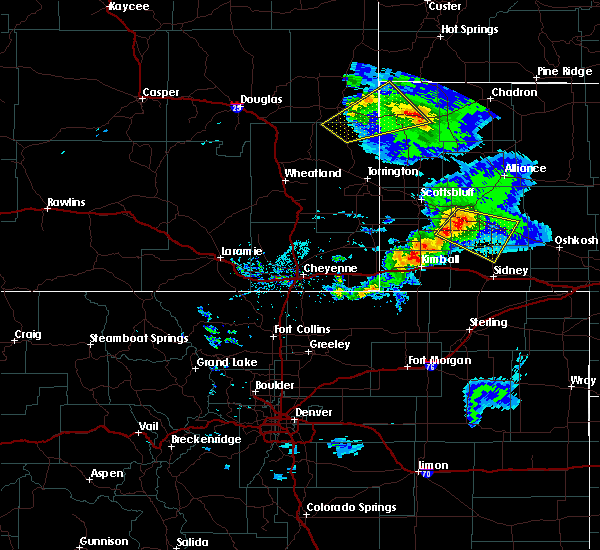 this severe storm will be near, gurley around 1030 pm mdt. other locations impacted by this severe thunderstorm include broadwater. This includes interstate 80 in nebraska between mile markers 40 and 45. 5/17/2018 9:45 PM MDT At 944 pm mdt, severe thunderstorms were located along a line extending from near dalton to near dix, moving northeast at 10 mph (radar indicated). Hazards include 60 mph wind gusts and quarter size hail. Hail damage to vehicles is expected. expect wind damage to roofs, siding, and trees. 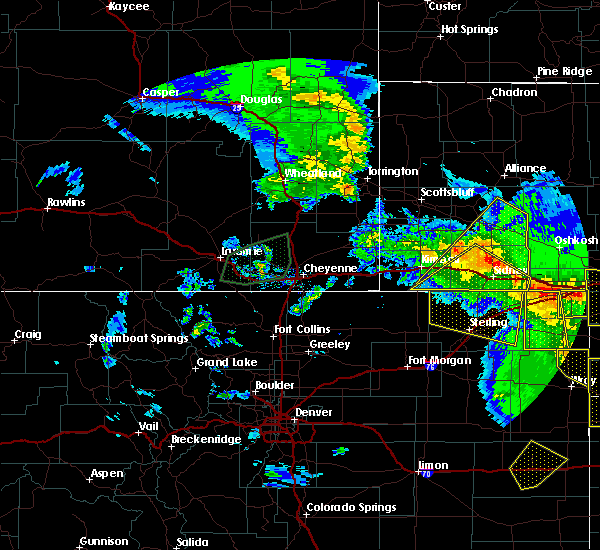 these severe storms will be near, dalton around 1005 pm mdt. other locations impacted by these severe thunderstorms include broadwater. This includes interstate 80 in nebraska between mile markers 29 and 45. 5/17/2018 9:26 PM MDT At 926 pm mdt, severe thunderstorms were located along a line extending from 7 miles west of dalton to 6 miles south of dix, moving northeast at 10 mph (radar indicated). Hazards include 60 mph wind gusts and quarter size hail. Hail damage to vehicles is expected. expect wind damage to roofs, siding, and trees. 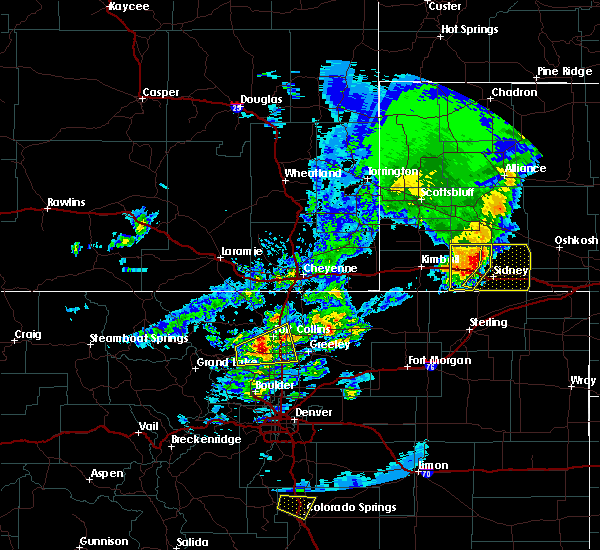 severe thunderstorms will be near, dalton around 1005 pm mdt. potter and the intersection of highway 385 and 92 around 1030 pm mdt. other locations impacted by these severe thunderstorms include broadwater. This includes interstate 80 in nebraska between mile markers 29 and 45. 9/16/2017 12:15 AM MDT At 1214 am mdt, a severe thunderstorm was located over brownson, or near sidney, moving northeast at 30 mph (radar indicated). Hazards include 60 mph wind gusts and half dollar size hail. Hail damage to vehicles is expected. expect wind damage to roofs, siding, and trees. locations impacted include, sidney, gurley, colton, sunol, brownson and sidney airport. This includes interstate 80 in nebraska between mile markers 46 and 71. 9/15/2017 11:55 PM MDT At 1155 pm mdt, a severe thunderstorm was located 8 miles northwest of lorenzo, or 12 miles west of sidney, moving northeast at 30 mph (radar indicated). Hazards include 60 mph wind gusts and half dollar size hail. Hail damage to vehicles is expected. Expect wind damage to roofs, siding, and trees. 8/15/2017 7:13 PM MDT Half Dollar sized hail reported 10.1 miles W of Gurley, NE, hand held anometer recorded 72 mph. 8/15/2017 6:54 PM MDT The tornado warning for central cheyenne county will expire at 700 pm mdt, the tornado threat has diminished and the tornado warning has been cancelled. however, large hail and damaging winds remain likely and a severe thunderstorm warning remains in effect for northeastern cheyenne county and southeastern morrill county until 800 pm mdt. a severe thunderstorm watch remains in effect until 1100 pm mdt for the panhandle of nebraska. 8/15/2017 6:52 PM MDT At 652 pm mdt, a severe thunderstorm was located over gurley, or 14 miles north of sidney, moving northeast at 30 mph (radar indicated). Hazards include 60 mph wind gusts and quarter size hail. Hail damage to vehicles is expected. expect wind damage to roofs, siding, and trees. This severe thunderstorm will remain over mainly rural areas of northeastern cheyenne and southeastern morrill counties. 8/15/2017 6:34 PM MDT At 633 pm mdt, a confirmed tornado was located 7 miles north of brownson, or 12 miles northwest of sidney, moving east at 40 mph (weather spotters confirmed tornado). Hazards include damaging tornado and golf ball size hail. Flying debris will be dangerous to those caught without shelter. mobile homes will be damaged or destroyed. damage to roofs, windows, and vehicles will occur. tree damage is likely. This tornado will be near, gurley around 640 pm mdt. 8/15/2017 6:20 PM MDT At 620 pm mdt, a confirmed tornado was located 9 miles northeast of potter, or 15 miles northwest of sidney, moving east at 25 mph (weather spotters confirmed tornado). Hazards include damaging tornado and baseball size hail. Flying debris will be dangerous to those caught without shelter. mobile homes will be damaged or destroyed. damage to roofs, windows, and vehicles will occur. tree damage is likely. The tornado will be near, gurley around 645 pm mdt. 7/27/2017 8:20 PM MDT At 818 pm mdt, a severe thunderstorm was located over gurley, or 11 miles north of sidney, moving southeast at 20 mph. this is a very dangerous storm (trained weather spotters). Hazards include 80 mph wind gusts and nickel size hail. at 815 pm, a trained spotter 10 miles northeast of potter reported wind gusts of 60 to 80 mph. Flying debris will be dangerous to those caught without shelter. mobile homes will be heavily damaged. expect considerable damage to roofs, windows, and vehicles. extensive tree damage and power outages are likely. locations impacted include, sidney, dalton, gurley, colton, sunol and sidney airport. This includes interstate 80 in nebraska between mile markers 56 and 67. 7/27/2017 8:13 PM MDT At 813 pm mdt, a severe thunderstorm was located over gurley, or 13 miles north of sidney, moving southeast at 20 mph (radar indicated). Hazards include 70 mph wind gusts and nickel size hail. Expect considerable tree damage. Damage is likely to mobile homes, roofs, and outbuildings. 7/27/2017 7:43 PM MDT At 743 pm mdt, a severe thunderstorm was located 10 miles west of dalton, or 21 miles northwest of sidney, moving southeast at 30 mph (radar indicated). Hazards include 70 mph wind gusts and half dollar size hail. Hail damage to vehicles is expected. expect considerable tree damage. Wind damage is also likely to mobile homes, roofs, and outbuildings. 7/2/2017 5:58 PM MDT At 557 pm mdt, a severe thunderstorm was located 8 miles west of gurley, or 13 miles northwest of sidney, moving east-southeast at 15 mph (radar indicated). Hazards include half dollar size hail. Damage to vehicles is expected. 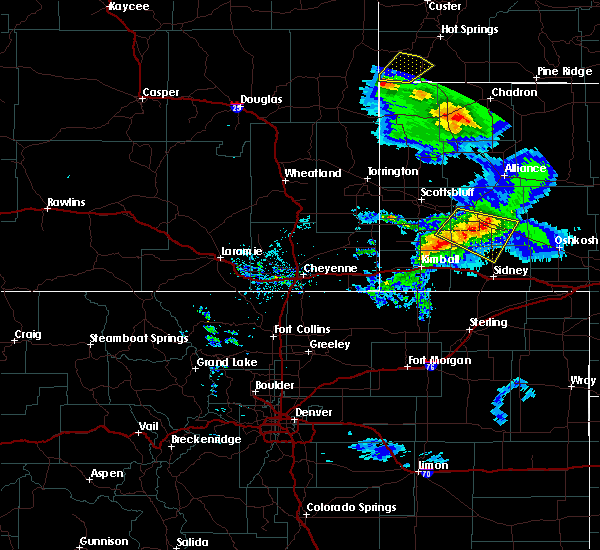 This severe thunderstorm will remain over mainly rural areas of central cheyenne county. 6/27/2017 2:24 PM MDT The severe thunderstorm warning for northeastern cheyenne and morrill counties will expire at 830 pm mdt, the storms which prompted the warning have moved out of the area. therefore the warning will be allowed to expire. 6/27/2017 1:59 PM MDT A severe thunderstorm warning remains in effect until 830 pm mdt for northeastern cheyenne and morrill counties. at 759 pm mdt, severe thunderstorms were located along a line extending from 7 miles north of angora to near colton, moving east at 40 mph. hazard. 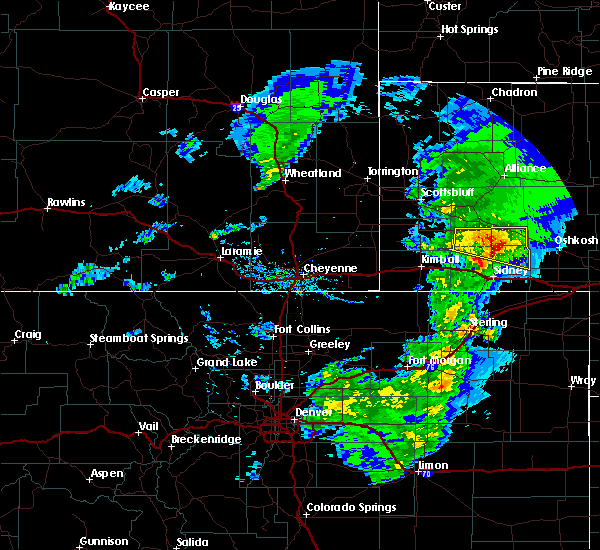 70 mph wind gusts and quarter size hail. 6/27/2017 1:29 PM MDT At 728 pm mdt, severe thunderstorms were located along a line extending from near minatare to 11 miles north of potter, moving east at 55 mph. these are very dangerous storms (radar indicated. at 719 pm mdt, a 79 mph wind gust was reported at the scottsbluff airport). Hazards include 80 mph wind gusts and quarter size hail. Flying debris will be dangerous to those caught without shelter. mobile homes will be heavily damaged. expect considerable damage to roofs, windows, and vehicles. extensive tree damage and power outages are likely. 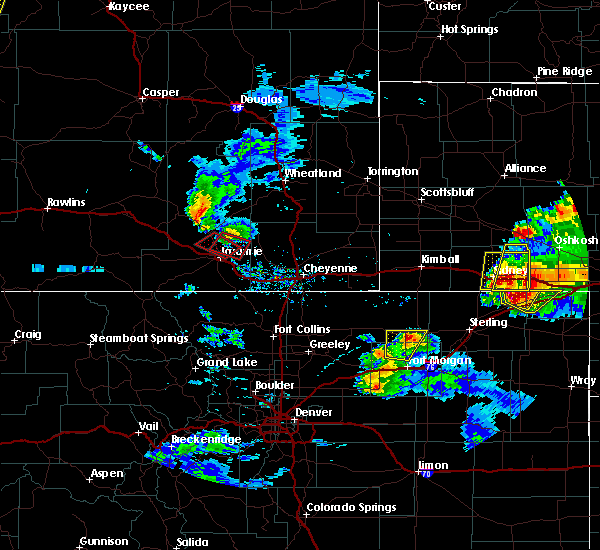 severe thunderstorms will be near, the intersection of highway 385 and l62 around 745 pm mdt. 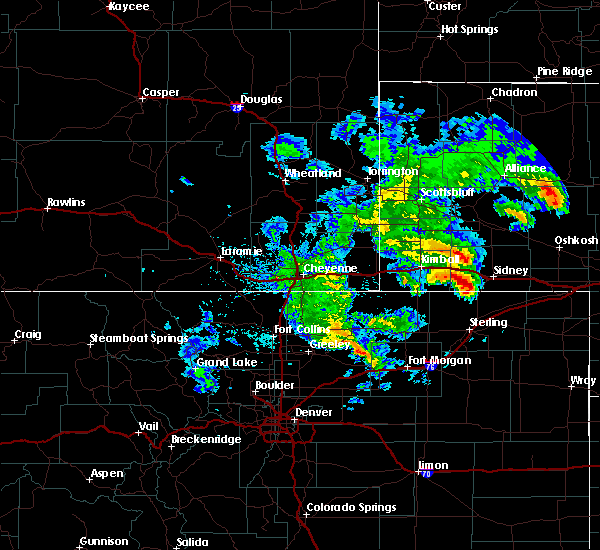 dalton and angora around 750 pm mdt. other locations impacted by these severe thunderstorms include broadwater. This includes interstate 80 in nebraska between mile markers 33 and 51. 6/7/2017 3:45 PM MDT At 345 pm mdt, severe thunderstorms were located along a line extending from 10 miles northwest of mount vernon to 6 miles southwest of gurley to near potter, moving south at 25 mph (radar indicated). Hazards include 60 mph wind gusts and quarter size hail. Hail damage to vehicles is expected. expect wind damage to roofs, siding, and trees. 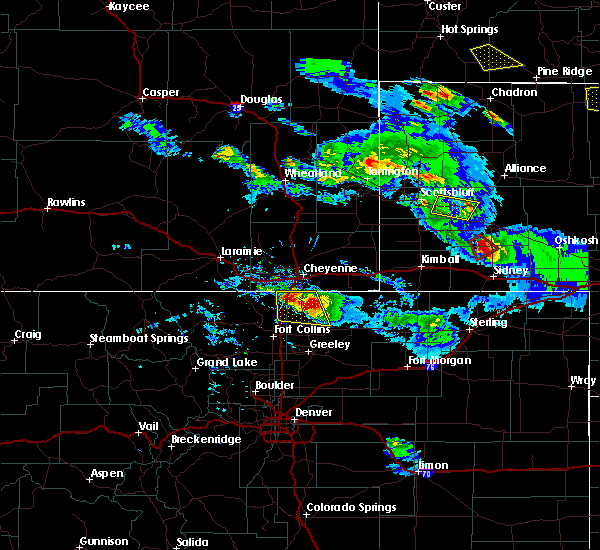 these severe storms will be near, sidney, potter and brownson around 400 pm mdt. 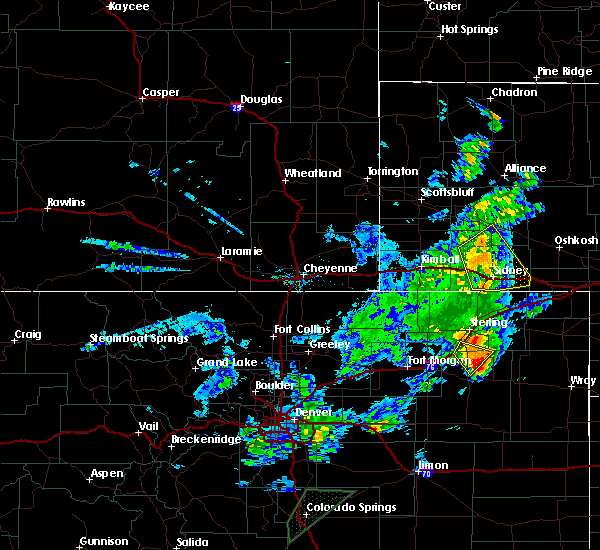 lodgepole and sidney airport around 410 pm mdt. sunol and lorenzo around 415 pm mdt. This includes interstate 80 in nebraska between mile markers 37 and 77. 6/7/2017 3:15 PM MDT At 314 pm mdt, severe thunderstorms were located along a line extending from 7 miles southwest of lisco to dalton to 10 miles northeast of potter, moving south at 25 mph (radar indicated). Hazards include 60 mph wind gusts and half dollar size hail. Hail damage to vehicles is expected. expect wind damage to roofs, siding, and trees. 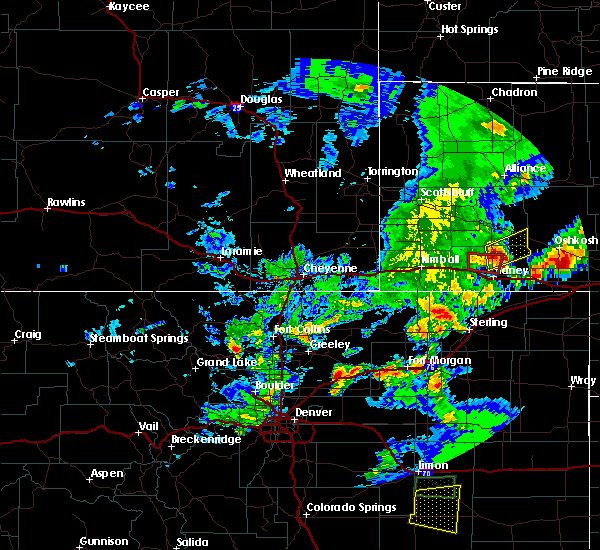 severe thunderstorms will be near, gurley around 330 pm mdt. potter around 340 pm mdt. 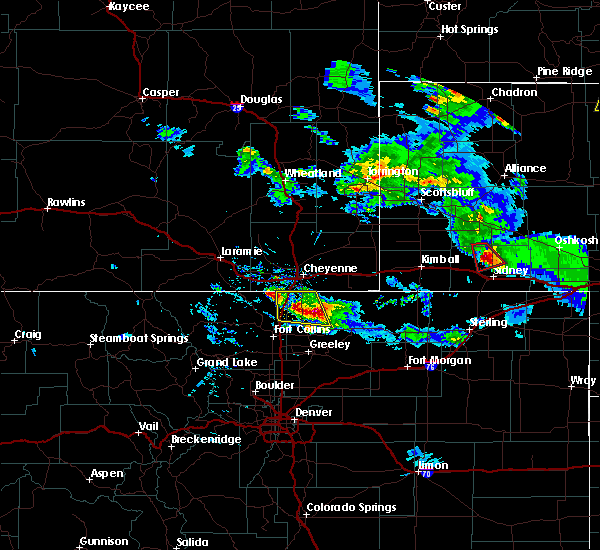 sidney, lodgepole, brownson and sunol around 400 pm mdt. colton around 405 pm mdt. sidney airport around 410 pm mdt. 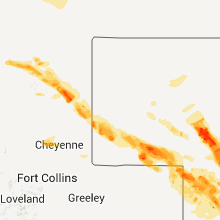 lorenzo around 415 pm mdt. This includes interstate 80 in nebraska between mile markers 37 and 77. 7/29/2016 5:57 PM MDT At 557 pm mdt, a severe thunderstorm capable of producing a tornado was located near gurley, or 11 miles north of sidney, moving south at 15 mph (radar indicated rotation). Hazards include tornado and two inch hail. Flying debris will be dangerous to those caught without shelter. mobile homes will be damaged or destroyed. damage to roofs, windows, and vehicles will occur. tree damage is likely. 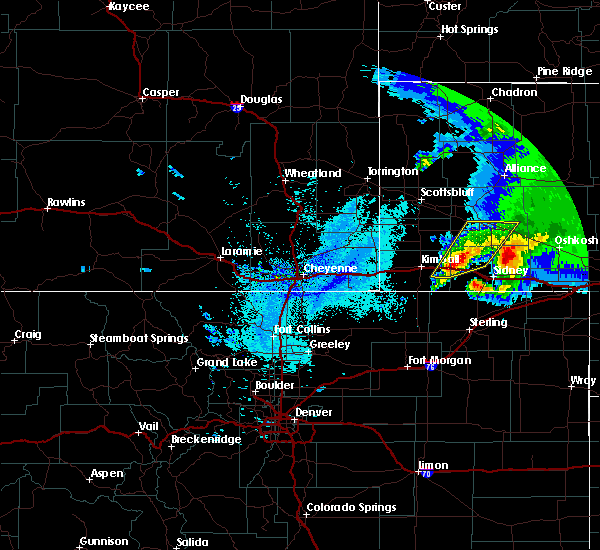 This tornadic thunderstorm will remain over mainly rural areas of north central cheyenne county. 7/29/2016 5:42 PM MDT At 541 pm mdt, a severe thunderstorm capable of producing a tornado was located near gurley, or 15 miles northwest of sidney, moving south at 10 mph. this storm has a history of producing a tornado (radar indicated rotation. however...spotters confirmed a tornado around 520 pm with this storm). Hazards include tornado and hail up to two inches in diameter. Flying debris will be dangerous to those caught without shelter. mobile homes will be damaged or destroyed. damage to roofs, windows, and vehicles will occur. tree damage is likely. 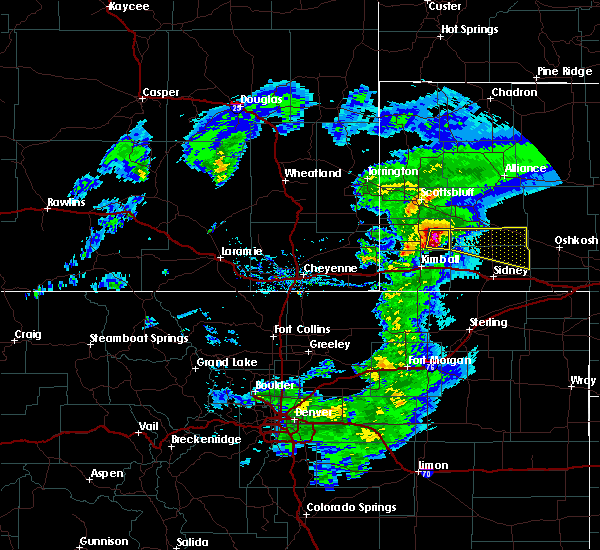 This dangerous storm will be near, gurley around 555 pm mdt. 7/22/2016 7:34 PM MDT At 733 pm mdt, a severe thunderstorm was located near gurley, or 12 miles north of sidney, moving northeast at 15 mph (radar indicated). Hazards include ping pong ball size hail and 60 mph wind gusts. People and animals outdoors will be injured. expect hail damage to roofs, siding, windows, and vehicles. Expect wind damage to roofs, siding, and trees. 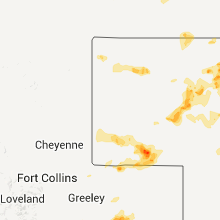 6/13/2016 7:48 PM MDT At 747 pm mdt, severe thunderstorms were located along a line extending from the intersection of highway 385 and 92 to 6 miles northeast of dalton to near gurley, moving northeast at 40 mph (trained weather spotters). Hazards include 60 mph wind gusts. Expect damage to roofs. siding. And trees. 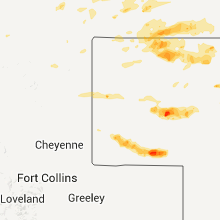 6/13/2016 7:33 PM MDT At 732 pm mdt, severe thunderstorms were located along a line extending from 7 miles southeast of court house and jail rocks to near lorenzo, moving northeast at 30 mph (trained weather spotters. 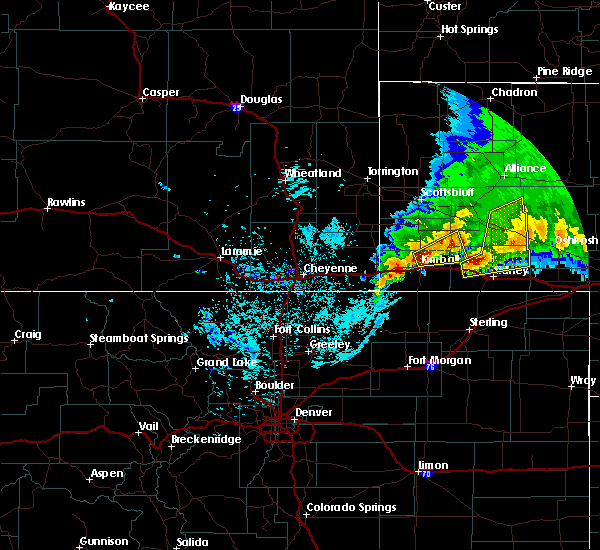 wind gusts in excess of 60 mph occurred in potter with these storms). Hazards include 60 mph wind gusts. small hail is also possible. Expect damage to roofs. siding. and trees. 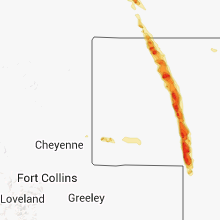 locations impacted include, sidney, lodgepole, dalton, gurley, sidney airport, the intersection of highway 385 and 92, sunol, lorenzo, colton and brownson. This includes interstate 80 in nebraska between mile markers 44 and 77. 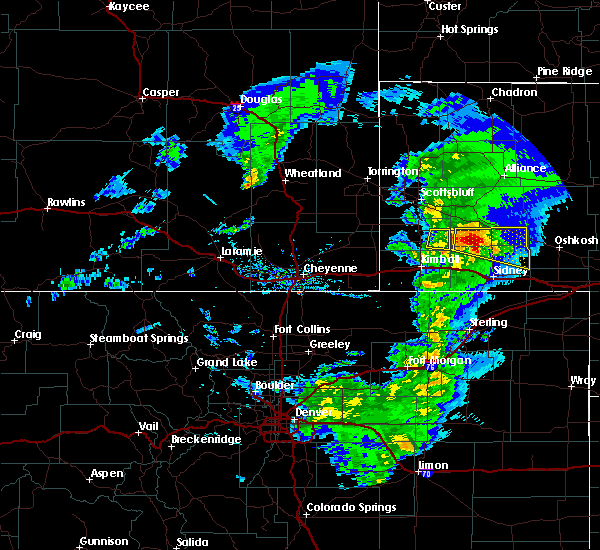 6/13/2016 7:12 PM MDT At 711 pm mdt, severe thunderstorms were located along a line extending from near potter to 6 miles west of brownson to 8 miles northwest of lorenzo, moving northeast at 35 mph (radar indicated). Hazards include 60 mph wind gusts. 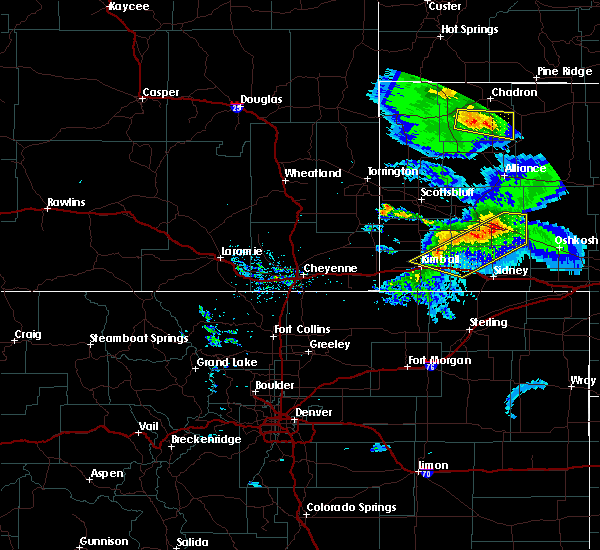 small hail is also possible. Expect damage to roofs. siding. And trees. 6/12/2016 9:43 PM MDT At 942 pm mdt, severe thunderstorms were located along a line extending from near alliance to 12 miles east of angora to near richardson lake to 9 miles south of lisco to 7 miles south of colton, and are nearly stationary (radar indicated). Hazards include 60 mph wind gusts and penny size hail. Expect damage to roofs. siding. and trees. 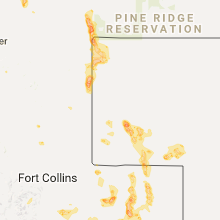 locations impacted include, alliance, sidney, bridgeport, lodgepole, dalton, gurley, the intersection of highway 385 and 92, bridgeport state recreation area, angora, lorenzo, northport, colton, sidney airport, alliance airport, sunol, brownson and broadwater. This includes interstate 80 in nebraska between mile markers 51 and 77. 6/12/2016 9:24 PM MDT At 923 pm mdt, severe thunderstorms were located along a line extending from near alliance to near angora to near richardson lake to 10 miles east of gurley to near lorenzo, moving east at 45 mph (radar indicated). Hazards include 60 mph wind gusts and penny size hail. Expect damage to roofs. siding. And trees. 5/24/2016 6:18 PM MDT The national weather service in cheyenne has issued a * severe thunderstorm warning for. cheyenne county in the panhandle of nebraska. morrill county in the panhandle of nebraska. southern box butte county in the panhandle of nebraska. 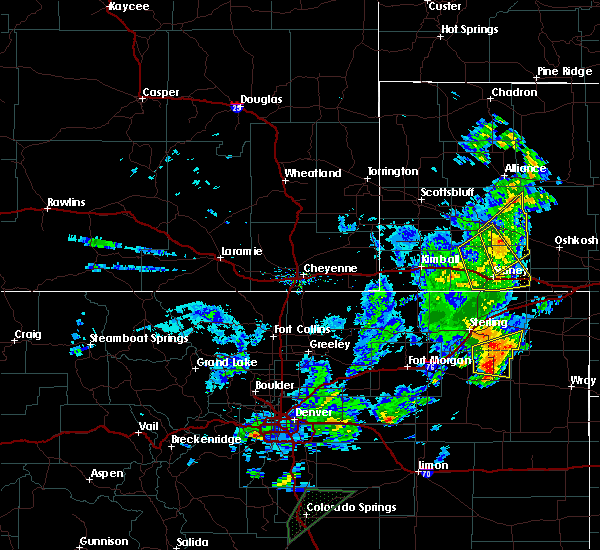 Until 700 pm mdt. 7/18/2015 6:10 PM MDT At 609 pm mdt, severe thunderstorms were located along a line extending from 8 miles west of lisco to near sidney, moving east at 40 mph (radar indicated). Hazards include 60 mph wind gusts and penny size hail. Expect damage to roofs. Siding and trees. 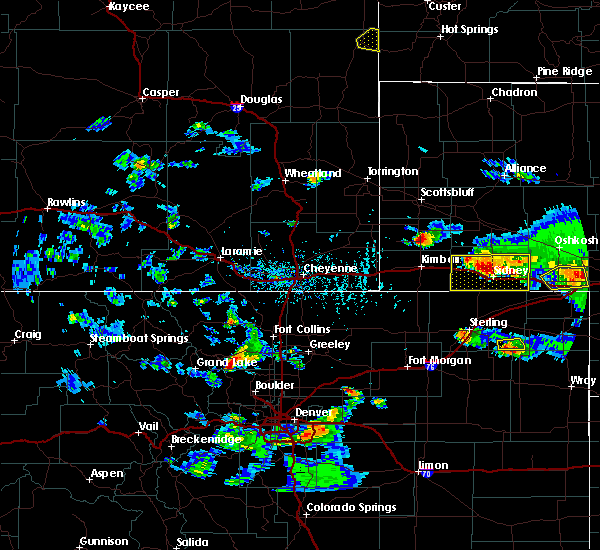 7/18/2015 5:55 PM MDT At 554 pm mdt, a severe thunderstorm was located near dalton, or 21 miles north of sidney, moving east at 40 mph (radar indicated). Hazards include quarter size hail and 60 mph wind gusts. Hail damage to vehicles is expected. expect wind damage to roofs, siding and trees. Locations impacted include, dalton, gurley, court house and jail rocks, the intersection of highway 385 and 92 and broadwater. 7/18/2015 5:43 PM MDT At 543 pm mdt, a severe thunderstorm was located 9 miles south of court house and jail rocks, or 24 miles northwest of sidney, moving east at 30 mph (radar indicated). Hazards include quarter size hail and 60 mph wind gusts. Hail damage to vehicles is expected. expect wind damage to roofs, siding and trees. Locations impacted include, dalton, gurley, court house and jail rocks, redington, the intersection of highway 385 and 92 and broadwater. 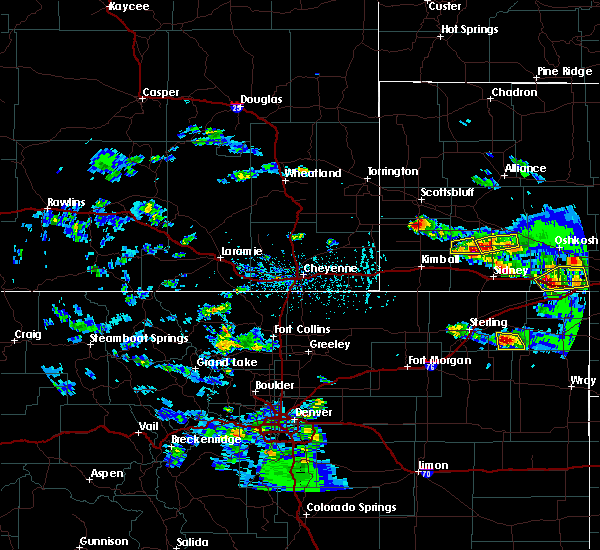 7/18/2015 5:14 PM MDT At 513 pm mdt, a severe thunderstorm was located 11 miles southwest of redington, or 20 miles northeast of kimball, moving east at 40 mph (radar indicated). Hazards include two inch hail and 70 mph wind gusts. this storm has a history of producing large hail and 70 mph winds. People and animals outdoors will be injured. expect hail damage to roofs, siding, windows and vehicles. expect considerable tree damage. Wind damage is also likely to mobile homes, roofs and outbuildings. 6/2/2015 7:19 PM MDT At 719 pm mdt, a severe thunderstorm was located 8 miles northwest of dalton, or 24 miles north of sidney, moving southeast at 10 mph (radar indicated). Hazards include quarter size hail and 60 mph wind gusts. Hail damage to vehicles is expected. expect wind damage to roofs, siding and trees. 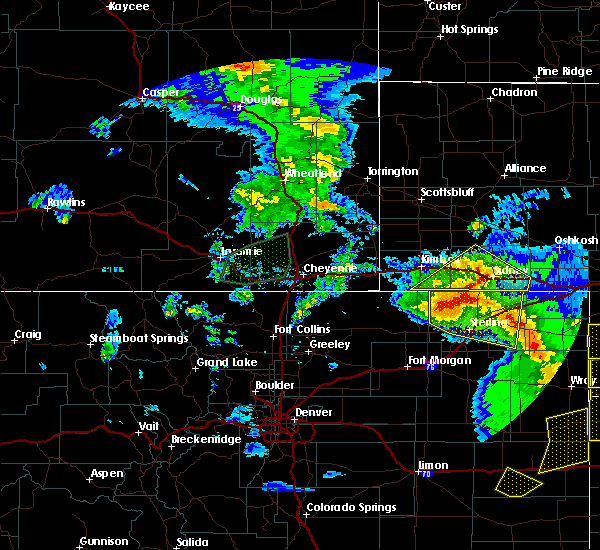 this severe thunderstorm will be near, dalton around 755 pm mdt. 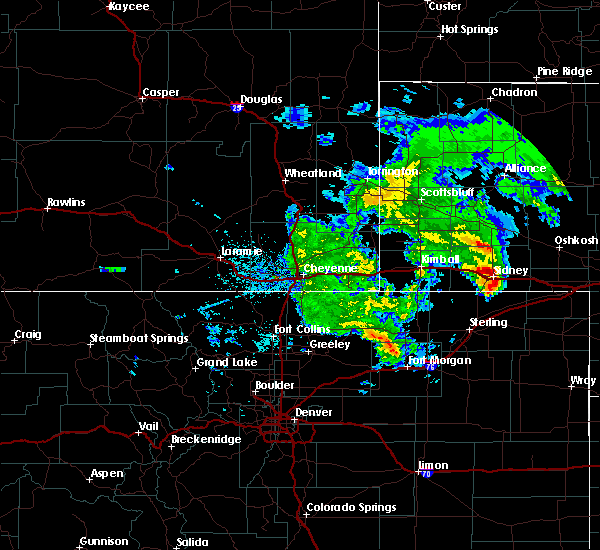 Gurley around 815 pm mdt. 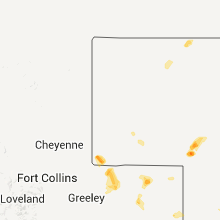 5/15/2015 5:38 PM MDT The severe thunderstorm warning for north central cheyenne and south central morrill counties will expire at 545 pm mdt, the storm which prompted the warning has moved out of the area. therefore the warning will be allowed to expire. 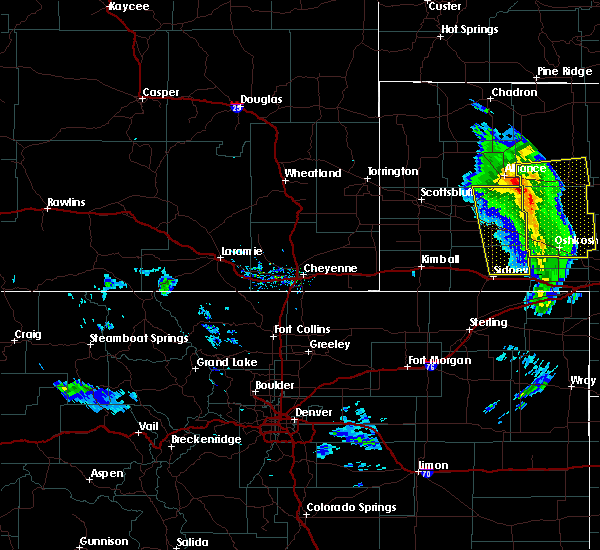 a new severe thunderstorm warning is in effect for eastern morrill county until 630 pm mdt. a tornado watch remains in effect until 800 pm mdt for central nebraska. 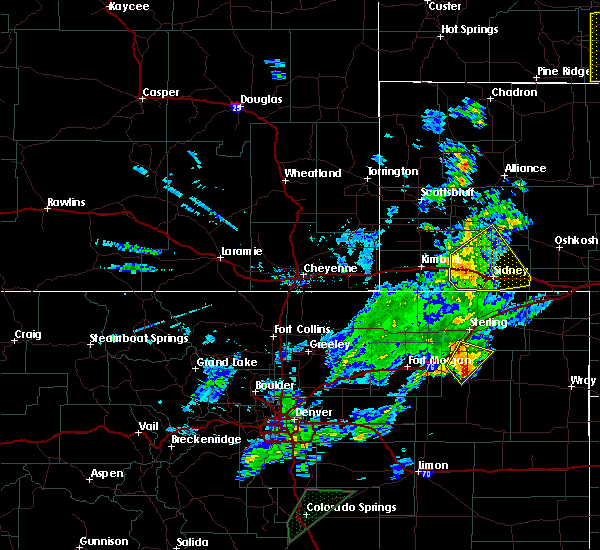 5/15/2015 4:53 PM MDT At 453 pm mdt, a severe thunderstorm was located near gurley, or 11 miles north of sidney, moving north at 40 mph (radar indicated). Hazards include quarter size hail and 60 mph wind gusts. Hail damage to vehicles is expected. expect wind damage to roofs, siding and trees. 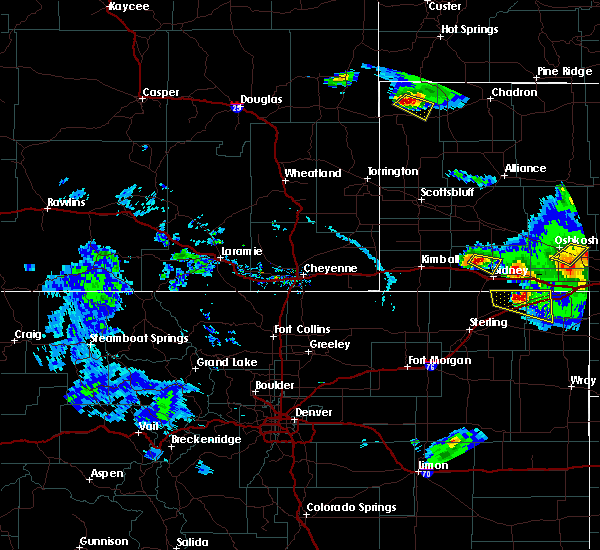 this severe storm will be near, dalton around 505 pm mdt. a tornado watch remains in effect until 800 pm mdt for central nebraska. 1. 00in. 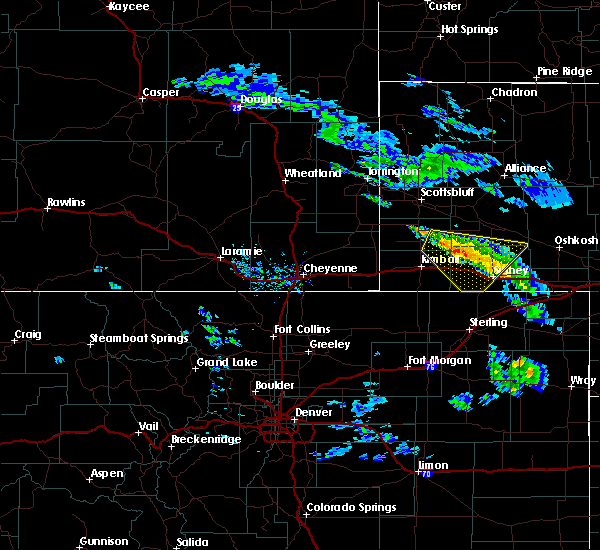 5/15/2015 4:38 PM MDT At 438 pm mdt, a severe thunderstorm was located near brownson, or near sidney, moving north at 30 mph (radar indicated). Hazards include quarter size hail and 60 mph wind gusts. Hail damage to vehicles is expected. expect wind damage to roofs, siding and trees. 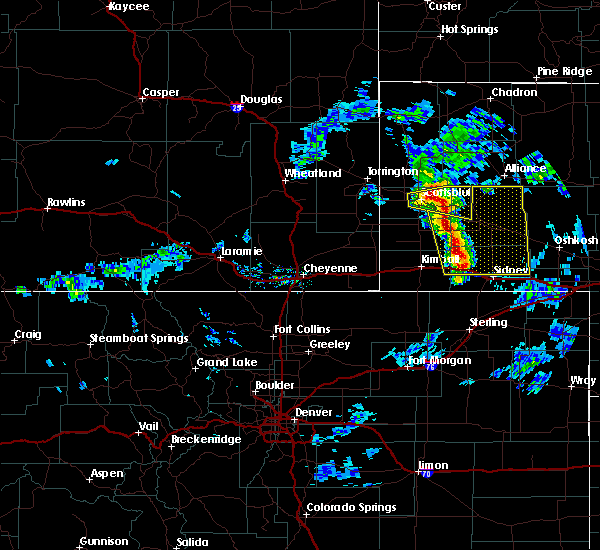 this severe thunderstorm will be near, brownson around 445 pm mdt. 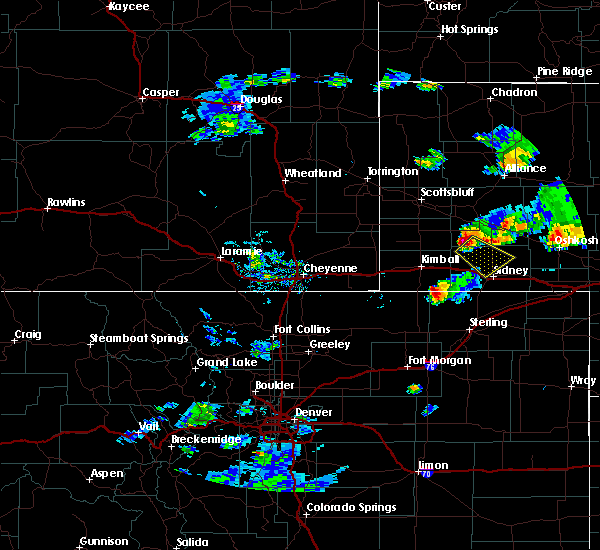 gurley around 510 pm mdt. 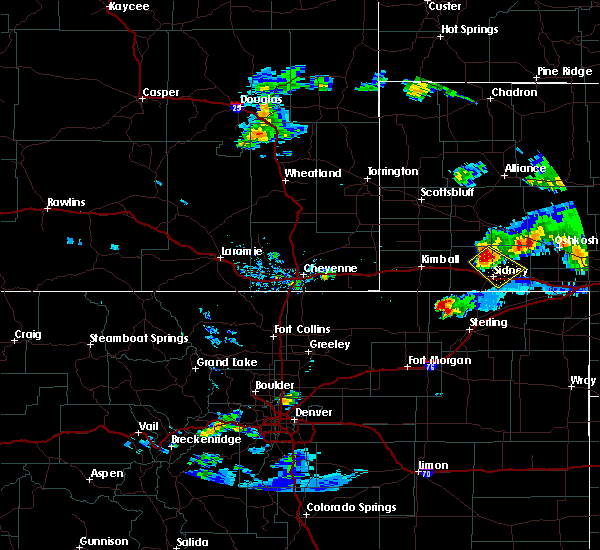 dalton around 520 pm mdt. this includes interstate 80 in nebraska between mile markers 46 and 57. a tornado watch remains in effect until 800 pm mdt for central nebraska. 1. 00in. 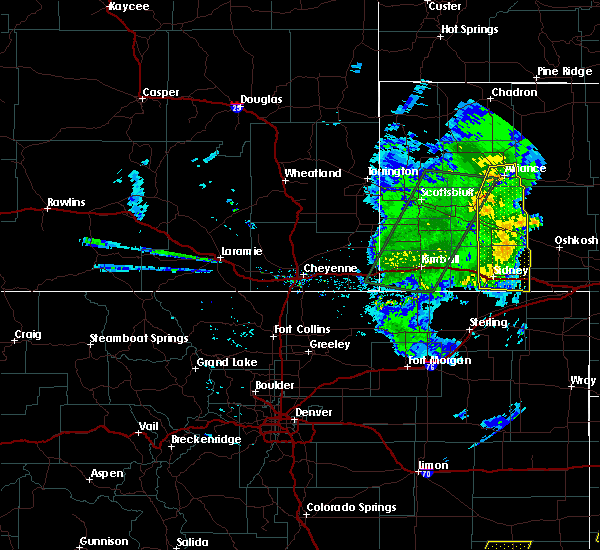 5/15/2015 3:08 PM MDT The severe thunderstorm warning for northeastern kimball, northwestern cheyenne, southeastern banner and southwestern morrill counties will expire at 315 pm mdt, the storm which prompted the warning has weakened below severe limits, and no longer pose an immediate threat to life or property. therefore the warning will be allowed to expire. however small hail and gusty winds are still possible with this thunderstorm. a tornado watch remains in effect until 800 pm mdt for central nebraska. 5/15/2015 2:24 PM MDT At 224 pm mdt, a severe thunderstorm was located near brownson, or 11 miles northwest of sidney, moving north at 20 mph (radar indicated). Hazards include quarter size hail and 60 mph wind gusts. Hail damage to vehicles is expected. expect wind damage to roofs, siding and trees. this severe thunderstorm will remain over mainly rural areas of northeastern kimball, northwestern cheyenne, southeastern banner and southwestern morrill counties. this includes interstate 80 in nebraska between mile markers 43 and 47. a tornado watch remains in effect until 800 pm mdt for central nebraska. 1. 00in. 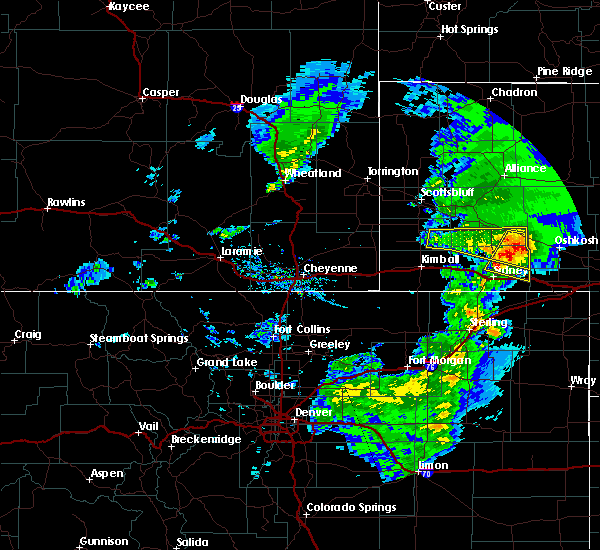 5/15/2015 2:14 PM MDT At 214 pm mdt, a severe thunderstorm was located near brownson, or 9 miles west of sidney, moving north at 15 mph (radar indicated). Hazards include quarter size hail and 60 mph wind gusts. Hail damage to vehicles is expected. expect wind damage to roofs, siding and trees. this severe thunderstorm will remain over mainly rural areas of northeastern kimball, northwestern cheyenne, southeastern banner and southwestern morrill counties. this includes interstate 80 in nebraska between mile markers 43 and 53. a tornado watch remains in effect until 800 pm mdt for central nebraska. 1. 00in. 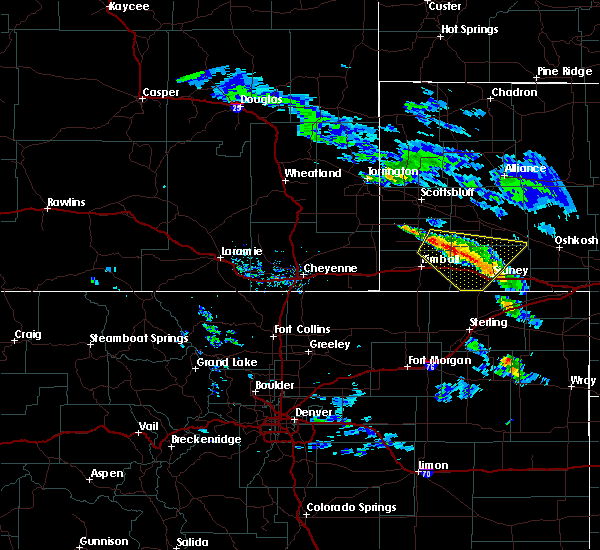 1/1/0001 12:00 AM Quarter sized hail reported 5 miles E of Gurley, NE, dime size to quarter suze.